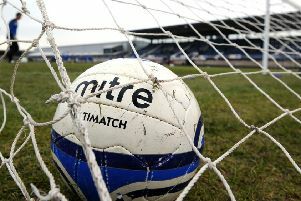 Arniston Rangers face an anxious wait to see if any further action will be taken following an incident, which occurred in their ill-tempered clash against Hawick Royal Albert. The Advertiser understands that referee Darren Cormack’s report from the weekend is being looked into by the Scottish FA. Around 15 minutes into the game there was an off-the-ball incident between Hawick Royal Albert’s Molamin Touray and Arniston defender Laurie Jones. A few minutes later, a melee broke out between both sets of players, with Cormack sending three players off after the dust settled. Hawick pair Touray and Demba Thiam as well as Arniston’s Dean Boyne were shown the red card. Allan Hares, the Arne club secretary, said: “I didn’t see what happened. “There were a couple of flashpoints in the game, there were some punches thrown but it was more handbags than anything else. Hawick boss Paul McGovern said: “Some people might say it was handbags, but it was maybe a bit more than that. “Fifteen minutes in, a player went down, possibly looking for a foul, and the ref has not gave it. The ball moved up the park, and when the player goes to get back up, a couple of punches were thrown at him. “We never had official linesmen at the game, which wasn’t ideal, the ref had his back turned to the first incident. “It’s settled down a bit then about five minutes later a big melee broke out. “Myself and my assistant tried to calm things down along with the Arniston bench. “I have no complaints about my players being sent off but they reacted to what was being missed by the referee. Ten-man Arniston lost the game 1-0 after Lewis Knox converted a second-half penalty.